Self-contained air conditioning units roll into place for effective spot cooling of heat-sensitive equipment, people, and production processes. Also for use as emergency backup or supplemental cooling. For flexible duct, see page 4117. Auto restart after power outage. 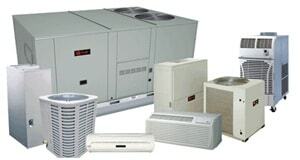 Feature return air, antifreezing thermostat, compressor short-cycle, and overload protection. Resin-treated coils resist corrosion. UL and C-UL Listed. Nos. 1VK49 and 2MWJ9 feature a condensate pump instead of tank for uninterrupted operation. No. 5E354 accepts optional wagon kit condensate tank No. 5E374; see page 3995. 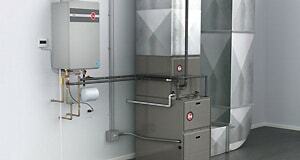 For other units, optional condensate pump is available to replace tank. Great for computer rooms and offices. Cool down to 65 DegreeF. No. 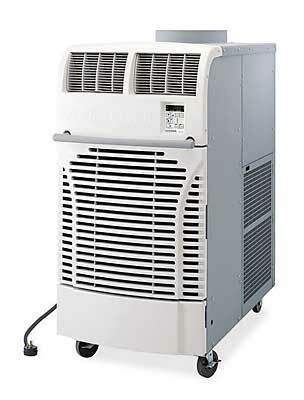 4WU33 delivers the highest cooling capacity possible from a 115V power source.